There has been a lot in the media recently about the benefits of play sessions involving young children and elderly people, and we are happy to announce that a scheme has now been set up in Bradford on Avon, funded by the Town Council. 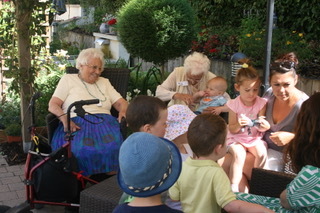 Nightingales Together is an intergenerational project based at Wiltshire Heights care home. 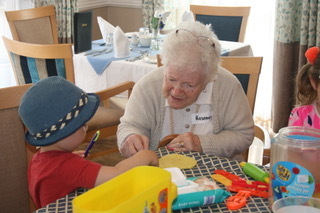 It offers your child a FREE play session with the residents, supervised by an experienced primary teacher. 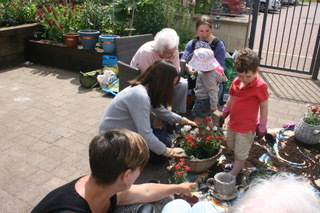 Initial sessions have been a great success, encouraging positive engagement and social interaction between all involved. 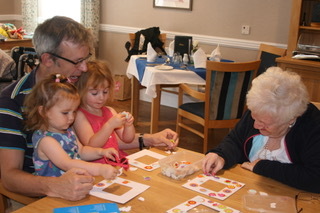 These fun sessions, which are based around well known stories feature activities such as craft, storytelling, cooking, music and conversation. The joy they bring to participants, both young and old, is palpable.